One of my biggest challenges every year is dealing with Ty’s seasonal allergies. About this time of summer, he will start getting hot spots that will persist until the first hard frost. 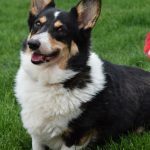 He used to end up taking prednisone each year, but now cannot take it as it would interfere with his T-cell infusion that he had for his lymphoma treatment. I also try to use mild and natural products with him. 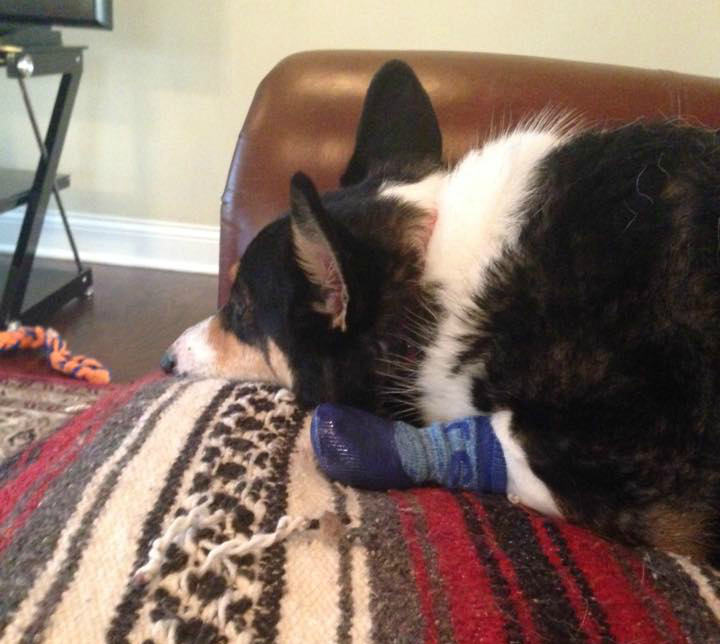 We made it through last year using antihistamines, antibiotics and various natural products, but Ty still ended up wearing socks at times to stop him from licking his feet. He is not a fan of the socks! When I was at the Blogpaws conference, I was introduced to Natural Paws and hooked up with several bloggers to review some products and do a giveaway. I chose products for itchy skin and hot spots, which so far are doing a pretty good job in keeping Ty hot-spot free. Natural Paws uses natural and organic ingredients to create holistic remedies aimed at relieving common skin prdogoblems in dogs. 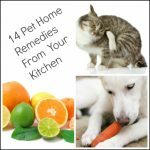 For example, the company offers products for troubled paw pads, skin irritations, allergic inflammations, and ear cleaning. I started out using Ditch the Itch on Ty as soon as he started showing signs of allergies a couple of weeks ago. This is an all-over spray for dogs with itchy skin. It is great for dogs with allergies as it calms the itch that causes allergic dogs to scratch and chew. I have been spraying it on Ty’s feet and belly, which is where he normally chews and scratches, and so far things are going well. I have not had to get out the socks yet! Here are the ingredients: Nettle Leaf, Oatstraw, Marshmallow Root, Pau D’ Arco Bark, Goldenrod Herb, White Willow Bark, Siberian Ginseng Root, Ashwaganda Root, Colloidal Oatmeal, Zinc Oxide, Allantoin, Panthenol (provitamin B5), Vegetable Glycerin, Aloe Powder, Leuconotoc Radish Root, Flax Seed Oil, Capric Triglyceride, Squalane (vegetable) Oil, Vitamin E Oil. TenderPaws is the company’s product for hot spots. this spray is focused on treating the paw area. I have been doubling up and putting this on Ty’s feet as well. So far we have managed to keep hot spots away and Ty is just a little red in the paw area. Normally by this time of year he would already have hot spots, so I think the products are really helping to keep things at bay. Tender Paws has some of my favorite essential oils as ingredients: Distilled Water, Essential Oil Blend (safflower, avocado, flax seed, vitamin E, tea tree, lavender), Leaf & Flower Extracts (Aloe, Neem, Pau D’Arco, Nettle, Amica, Chamomile, Calendula, Comfrey), Wheat Protein, Grapefruit seed extract, Potassium sorbate. Here is your chance to win a set of these great products! To enter, simply use the raffelcopter widget below. US only, 18 and over, void Where prohibited. I think our dog could definitely benefit from Natural Paws. Great review. Glad to know Ty’s getting some relief. 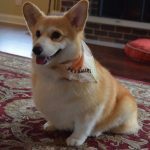 Tender Paws has helped Harley tremendously! Sounds like a terrific product! Very cool! We’re trying out the ear spray right now. Henry isn’t a fan of having his ears sprayed, but it’s better than drops! Sounds like a great product to help dogs. I love that they use natural ingredients. So glad to hear you found relief for Ty. It’s always a wonderful feeling when you can eliminate their allergy symptoms. It’s great you found something that works for Ty. Mr. N has a flea allergy that drives him and us crazy. My little guy could really use this…..he is one itchy little mutt! 🙂 Thank you. My dog Kia is an American Eskie, and has allergies. This sounds like it would give her (and me) some relief. This would be perfect for my rescue dog, Storm. Thank you so much for the chance. She has itchy skin sometimes and I need something to stop it. I entered! I used a sample of these products and it gave Rosa some relief from her itching. both our furry boys could use these! 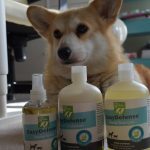 We would love to try Natural Paws especially the ear spray!! I love the picture of your dog with the sock’s on you can tell he’s not too happy about it. I remember one time we had a paw problem with LaMancha our dog and it was so hard to keep the sock on. I would love to try this on the inside of his front arms he is constantly licking to the point it gets red and I think it’s from skin allergies. Seems like a great product! Thanks! Oh, so sad I’m not a US resident!! 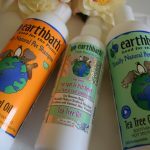 I would love to try these products because Charlie has a grass allergy! And when it’s bad, he licks and bites his paws too! Would love to try these for our precious little girl. If my dogs had itchy paws problem I’d give this a try. I’d love to try this out on my Shepherd Dante he has seasonal allergies and get pretty itchy. I need this for my older dog that gets hot spots. Sounds like a good product…glad it’s working for you guys! Poor Ty, he really suffers with his allergies. I’m glad you’ve found a natural product that is working for him and relieving some allergy misery. I’m glad that you found something that works for Ty! It is so distressing to see dogs suffer from allergies. One of my dogs is allergic to something and got a bad flare up this week. She has chewed herself raw in one spot, so we have to take her to the vet tomorrow. We will definitely have to try this product. Henry suffers terribly! 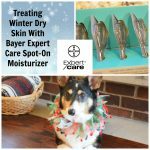 These ingredients look outstanding: I’ve tried some anti-itch balms lately with Bruiser as he gets cysts between his digits and I’m always looking for new products to try. Sherm also has itchy ears. Sometimes for itchy skin we use genta-spray which I don’t love. Thanks for the review. These products sound great! I’m glad that you found something that can help Ty despite his cancer treatments. That would be a really difficult thing. I wonder if these are safe for cats. 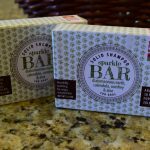 These sound great and so glad Ty is getting relief from natural products. Hope his lymphoma treatment is going well. Luckily Kilo the Pug has not had any itching yet. 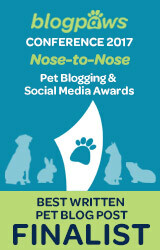 I love knowing about natural products that will help relieve a dog’s issues!! Hot spots are NO GOOD, and I have never liked having to use a steroid to treat! Fortunately, Rugby doesn’t have any allergy issues, but these products will be put into my library to suggest to clients when they have dogs with allergy itchies! 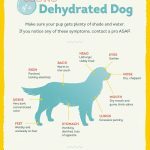 Glad to hear these products are helping your dog. 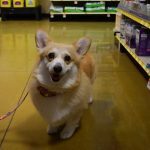 Would love to try these products on my dog. The founder, Elyse, is pawsome. We have blogged about this line. When my dog got a hot spot one time we used the one spray and we recommend it big time. I would love to try this on my pit bull who is CONSTANTLY itchy and eating his feet!!! These products would be great for our Jack Russell terrier. My dog so needs this! He licks his pits constantly! Always want the best for our dog. i would love to try this on our dog. she is our baby girl. Sounds like some great products, I’d love to try them out on her! My English bulldog has really sensitive skin. I’d love to try the itch and hot spot spray on his paws. Would love to try these out…I hate seeing my little guy suffer. Good, my dog will love this! My poor fur baby gets tired of us tell her to stop itching. I am going to have to try this product to see if they will help her stop yelling at her. I would love this for my dog. I have 3 dogs who would benefit from this product. 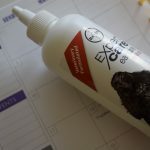 I love how all of these products are safe to use on our dogs. My dog would reallylove these! It is sounds like a great product. Dogs will love this a lot. Thank you for sharing. Perhaps I have to try this product. Thanks for sharing! Though my dogs rarely have problems of itchy skin, I’ll try it someday, to make them feel more comfortable!